Curad's Universal Stirrup Ankle Splints are designed for severe or recurring ankle sprains. Offering post-cast support, these splints optimally conform to your ankle, fit most ankles and come in air or foam form. 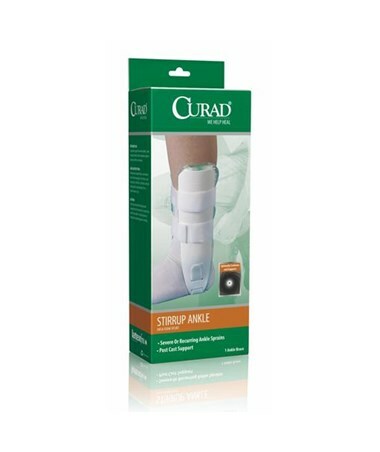 We offer the Curad Universal Stirrup Ankle Splints in either foam or air form; they are sold individually. Select from the drop down menu above.